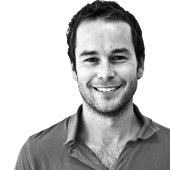 James is a freelance copywriter from Melbourne, working for a range of Australian brands and agencies. He's also written for titles like The Age, The SMH and The Independent on important issues like how Parliament could be turned into a reality TV show, why being famous is the new being an astronaut and why your company didn’t invent the iPod. Have retailers lost the plot?